Because of the serious impact stress can have on our health, stress-reducing herbs are becoming nearly as important as a multivitamin. An example that might be right for some people is Magnolia, a relaxing herb that has been shown in studies to be effective at reducing nervousness and anxiety in 78% of participants. Magnolia was also shown to improve sleep and without side effects like withdrawal symptoms or sleepiness the next day. In fact, magnolia can help enhance cognitive function and memory, partially by helping protect the brain from inflammation and oxidative damage. Magnolia contains powerful antioxidant compounds that are being studied for possibly enhancing other anti-cancer treatments. Magnolia is also a mild anti-nauseous herb. Traditionally, magnolia has been used for low energy and emotionally related digestive problems. 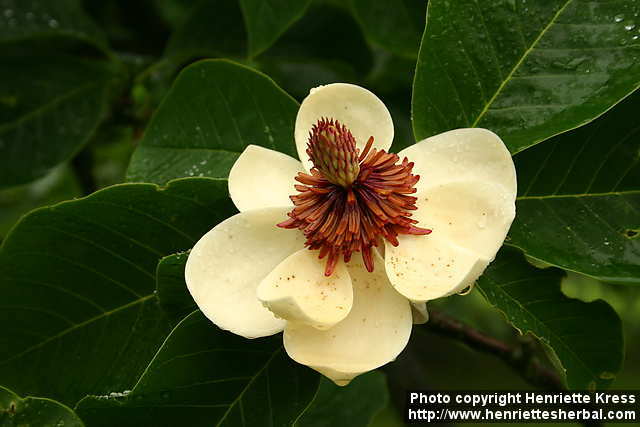 Even more interesting is the research done on the combination of Magnolia and Phellodendron, sold under the name Relora. In addition to reducing anxiety and perceived stress, Relora was also shown to reduce cortisol, the stress hormone. Cortisol can become increased in some people when they are exposed to chronic stress. Elevated cortisol levels contribute to many serious health conditions like osteoporosis, diabetes, depression, low immune function, and weight gain. Though lower cortisol may not be enough to lead to weight loss by itself, higher levels of cortisol can make weight loss harder to achieve. Also, there is some evidence that lowering cortisol might reduce stress related eating. So for the appropriate person, Relora could be a boon for both weight loss and overall health. This entry was posted in Herbs and tagged adrenals, anxiety, belly fat, chronic stress, cognitive support, cortisol, diabetes, insomnia, mental-health, nootropic, obesity, sleep, stress. Bookmark the permalink.